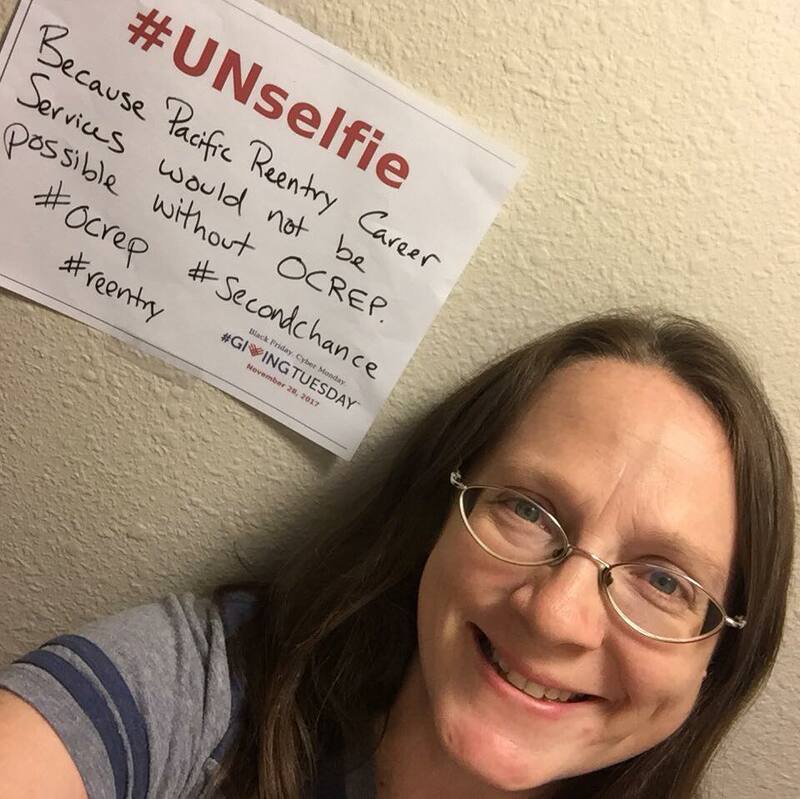 Join Pacific Reentry Career Services Executive Director & Co-Founder Stephanie Hammerwold in donating to OCREP for Giving Tuesday. Wow! What a year! We just finished our second Fair Chance Hiring Summit (watch the blog for more on that next week), and we are already thinking about what we will do in 2018. We have so much to be thankful for during our first year providing direct services. As we prepare to celebrate Thanksgiving with family and friends, we want to take a moment and give thanks for the Orange County Re-Entry Partnership (OCREP). We would not be where we are today without the support of this amazing organization. OCREP is a network of organizations and people who support the reentry community. As a small organization focused on employment for the formerly incarcerated, we do not have the resources to help with all the needs of our clients, but we do have access to a diverse network of professionals ready to provide help with housing, addiction services, mental health services and more. Formerly incarcerated people often have multiple barriers, so sometimes it is necessary to work in partnership with other organizations to get the help they need. OCREP supports second chances, and so do we. We have formed a number of partnerships with people and organizations that have been able to help our clients with shelter, job training and other services. Reentry success depends on a supportive community, and OCREP fosters that kind of community in Orange County. OCREP has been a huge support as we launched our programs this year and helped us with both of our Fair Chance Hiring Summits. Two years ago, we went to our first OCREP general meeting when Pacific Reentry Career Services was just an idea, and we were welcomed with open arms. Speaking of general meetings, OCREP meetings are always educational and a good opportunity to visit with friends who support the reentry community. The OCREP email newsletter is your go-to source for all things reentry. The OCREP advisory committee is led by Director Meghan Medlin and is made up of some of the most amazing people you will meet in Orange County. OCREP puts on amazing events like the annual Reentry Resource Fair and the recent Opioid Awareness event. OCREP is a necessary part of the reentry community in Orange County. Join us in donating to OCREP today. Happy Thanksgiving!